On the internet, there is a lot of information. 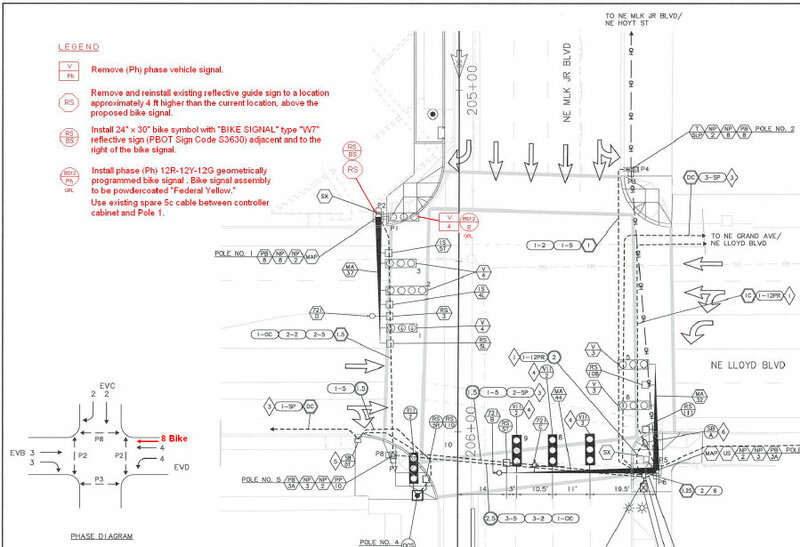 Yet, I often find that engineering details on the net are very limited, so I am posting this bicycle signal markup to share with fellow practitioners that might be interested in more details. 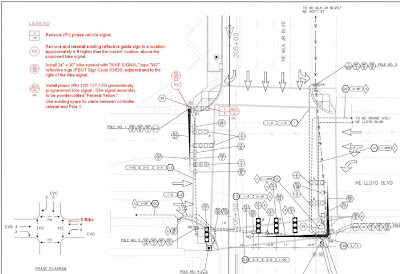 This markup shows how little that was done in this T - intersection to make the bicycle signal happen. The cost of the project was approximately $2,000 because the modifications were part of the existing design (the wiring was already in place as was an existing signal head) and it was relatively simple to make the change in the field.